In a time of superheroes and villains, the United States government is trying to come up with preventative measures to protect itself. One official, Amanda Waller (Davis), puts together a team of several psychotic and evil individuals to undertake incredibly dangerous missions for the government in return for clemency. 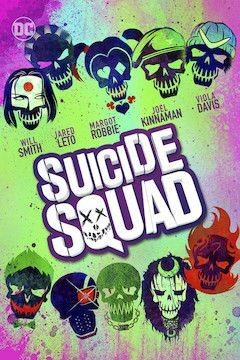 Led by Rick Flag (Kinnaman), this team includes criminals like Deadshot (Smith) and Harley Quinn (Robbie). They attempt to save the world from an unknown and powerful threat, and have a blast doing it.